Buchanan BMC special built 1958/59 by George Devine, the General Foreman at the BMC assembly plant at Rosebery in Sydney with a lot of practical knowledge of car manufacture. Jack Pryor constructed a chassis based on George's preferred components and designed specifically to suit the Buchanan body. 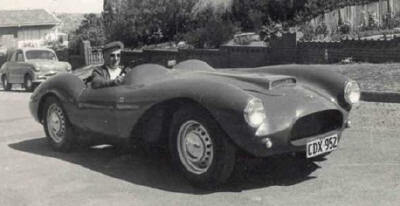 Jack, at the time was Chief Scrutineer for CAMS, and a partner in the PRAD (Pryor/Adams) car building firm.